With great memories of the road journey on the first day still fresh, a slightly different route down state to Green River is decided upon. 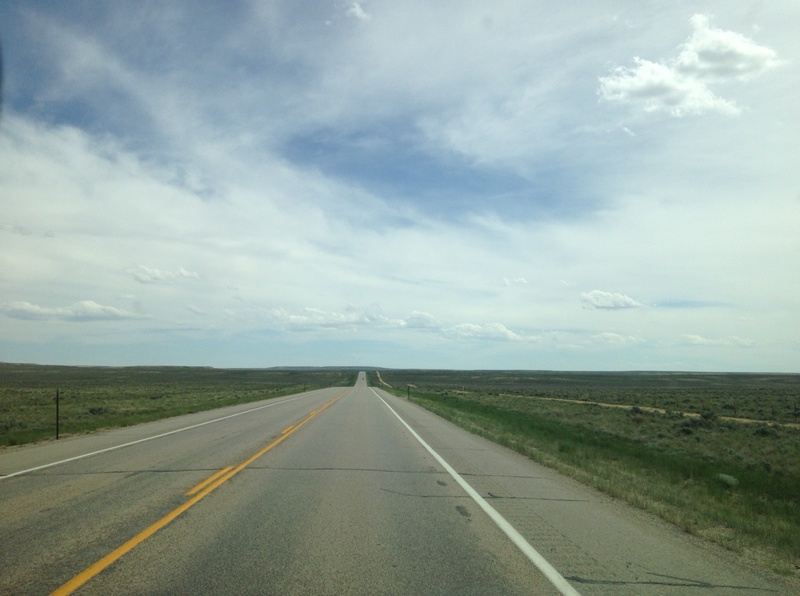 Eventually, after a few hours through Yellowstone and the Tetons again, we reach Route 191 and gradually the wide open spaces and colour transitions return. On this route we start to see a wide path at the side of the highway packed with straw. It goes on for miles and miles. After wondering for a good while what the purpose of it is a fortuitous stop reveals it’s a path that is used for the annual migration of Pronghorn Deer from the upper reaches of Yellowstone all the way down to warmer weather in Utah. The Pronghorn have distinctive horns markings and we catch a first glimpse of a few by the Highway. 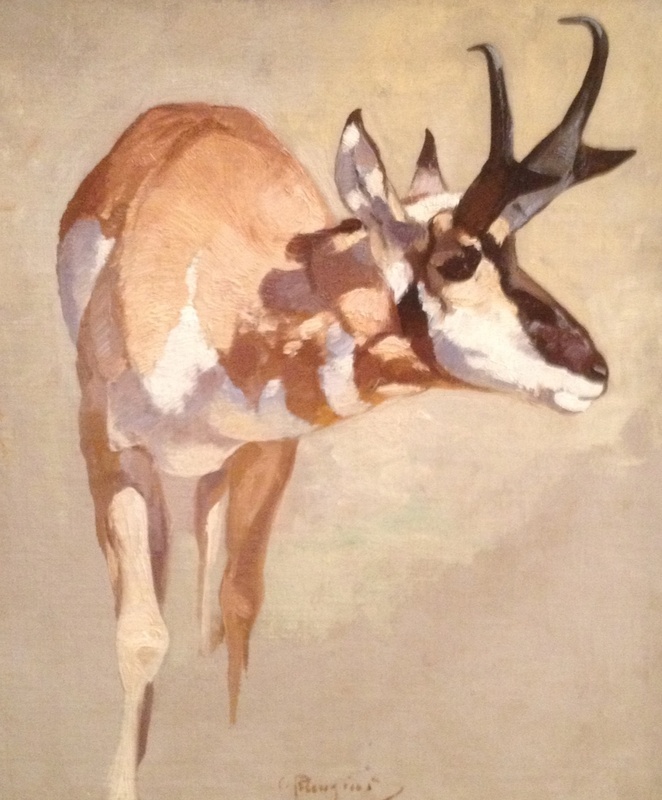 I am reminded of a great study of a Pronghorn by Carl Runguis from the Wildlife museum in Jackson. To see mass migration of these beautiful animals down the same highway must be an amazing sight to behold. Nearing Green River the landscape starts to look very familiar. Pronhorn Deer study by Carl Runguis.